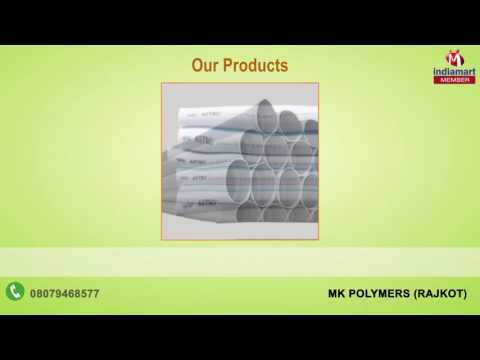 Established in the year 2013, at Rajkot (Gujarat, India), we %u201CMk Polymers%u201D, are successfully recognized as an eminent Manufacturer and Supplier of a broad range of Column Pipes and Plastic Plumbing Pipes. These pipes are manufactured at our advanced production unit using excellent quality virgin plastic and cutting-edge technology in adherence with the set industry standards. Offered pipes are well-known for features like robust constriction, high durability, superior strength, abrasion resistance, heat resistance, light weight and fine finish.